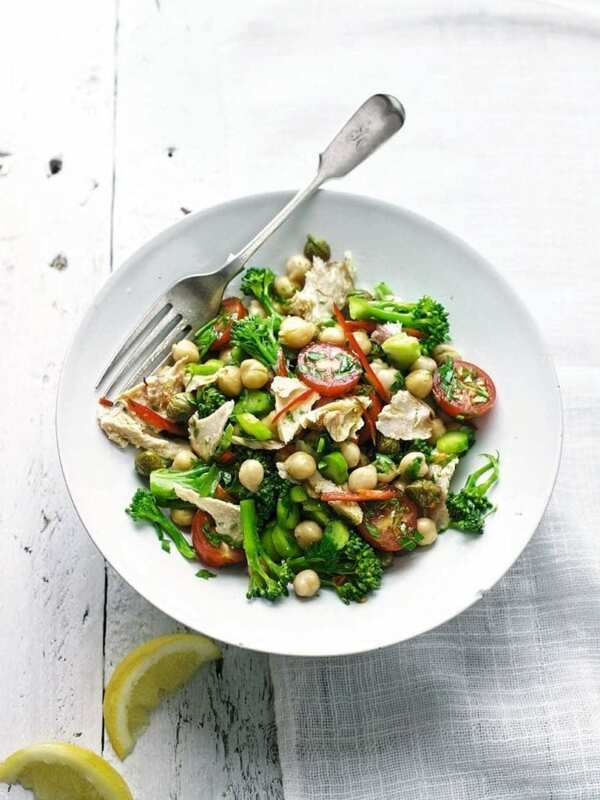 This quick tuna salad recipe, made with broccoli, tomatoes and chickpeas, is high in protein and fibre but low in fat. Drain the tuna, then flake into a mixing bowl using a fork. Drain and rinse the chickpeas, then drain and rinse the capers. Add them all to the bowl. Halve the tomatoes and add to the bowl. Chop the parsley, slice the chilli (if you don’t like spicy food, remove the seeds – or leave the chilli out completely), then add to the bowl. Bring a kettle of water to the boil. Cut the broccoli into small florets, slicing the stems thinly, and put in a heatproof bowl. Pour the boiling water over the broccoli florets, leave for 2 minutes, then drain. Toss the broccoli with the chickpea, tuna and tomato mixture, then season. Serve with lemon wedges for squeezing. Next time use tinned white beans such as cannellini instead of chickpeas. It’s a winner that’s nutritious and delicious for this absolute beginner. I love this recipe because it is simple, healthy . nutritious and looks very tasty too! What is inflammation – and can a diet really ease it?